The Website is provided by DASHWITNESS LTD (trading as Dash Witness) a private company limited by shares incorporated in England and Wales under company number 9000716 and whose registered office is at Dash Witness Ltd, Brunel House, Volunteer Way, Faringdon, SN7 7YR. All transactions are processed in GBP (Pound Sterling). The Website may contain hypertext or other links to websites operated by third parties. The responsibility for those websites belongs to the third parties who are identified as operating those websites. Separate terms and conditions will apply to those websites and you are encouraged to read those if you access those links. Dash Witness will endeavour to ensure that the Website is accessible for 24 hours a day but will not be liable if‚ for any reason‚ the Website is unavailable for any time or for any period. Dash Witness will have the right to suspend access to or withdraw this website temporarily or permanently and without notice. Dash Witness will not be liable for any loss or damage arising in contract‚ tort or otherwise if the Website is unavailable or suspended for any reason. The information contained on the Website is provided for information purposes only and Dash Witness will use reasonable care and skill to ensure that it is accurate at the date of publication. However‚ because of the nature of the Internet‚ there may be circumstances in which errors occur within the information. Consequently, Dash Witness makes no warranty or guarantee as to the accuracy of any information on the Website and cannot accept liability for any errors or omissions within it. Commentary and other materials posted on the Website is not intended to amount to advice on which reliance should be placed. Dash Witness accepts no responsibility or liability arising from any reliance placed on such materials by you or by any third party who may be informed by any of its contents. Dash Witness will take all reasonable steps to ensure that any information you provide via e-mail and / or via the Website is kept secure‚ but please remember that‚ because of the nature of the Internet‚ the security of emails cannot be guaranteed. Consequently, your privacy of your data in such email correspondence cannot be guaranteed. There is no guarantee that any emails that you send to us will be received by us. Dash Witness shall not be liable for any loss of use, profits, savings or data or any indirect, special or consequential damages or losses, whether such losses arise in contract, negligence or tort, including without limitation, any losses in relation to your use of, reliance upon or inability to use the Website. Dash Witness cannot warrant that the Website is free of viruses or technical defects of any description‚ and accepts no responsibility for any technical problems arising from your use of the Website. The Dash Witness logo is a registered trademark of DASHWITNESS LTD which claims trademark rights in the logo. Dash Witness owns the copyright and all other intellectual property rights existing on or within the Website. All such rights are reserved and you may not reproduce the logo without Dash Witness’ written consent. You are not permitted to download‚ print‚ redistribute or extract any information from the Website other than for your personal‚ non-commercial use and not for any purpose that damages our reputation or takes advantage of it. The Website must not be framed on any other website, nor may you create a link to any part of our website other than the Website. Dash Witness reserves the right to withdraw linking permission without notice. Our status (and that of any identified contributors) must always be acknowledged as the authors of material on the Website. Any personal information you supply to Dash Witness via the Website will be treated in accordance with the Data Protection Act 1998 and the Privacy and Electronic Communications Regulations 2003. Dash Witness accepts no responsibility or liability to any third party in relation to the content or accuracy of any information or materials posted by you onto the Website or any information posted on external websites. Dash Witness retains the right to remove any information or materials posted by you on the Website if such information or material is or is likely to be offensive, illegal, harmful, or threatening and / or belongs to someone else. Unless otherwise stated any views expressed are of individuals contributors and not of Dash Witness. Dash Witness has established the Website in England. We have chosen the laws of England and Wales to apply to the Website and for any dispute to be heard by the Courts of England and Wales. By purchasing our installation service you are bound by the terms below. To ensure your installation goes as smoothly as possible please read the terms and conditions and make sure you are satisfied each point can be met. 1. Cancellations– If you need to cancel or move your appointment we must be notified 24 hours in advance, otherwise there is a cancellation fee of £50.00 including VAT. This applies to all appointments, including service calls. 2. Equipment– If you have ordered equipment directly from Dash Witness Ltd or are providing the equipment yourself. You must ensure that all equipment is on site and available for the engineer when he/she arrives. If it is not the installation will need to be cancelled and re-booked, the cancellation fee above would apply. 2a. If you have ordered the equipment from Dash Witness Ltd. Ensure the items have arrived, if the delivery has been delayed or it has been left with a neighbour we will not know. You need to make sure it is available and on site. Please open your delivery and make sure all items match your order. 2b. if you are supplying the equipment yourself. You need to make sure the equipment to be fitted is on site, available and in working order when the engineer arrives. If you do not want your camera powered from the cigarette socket you will need the appropriate hardwire kit, we are not able to cut power leads (i.e. cigarette socket power leads). If you do not have the correct leads and the installation needs to be postponed or cancelled you will be billed the cancellation fee shown above. 3. The installation– When hardwiring your equipment, the engineer will solder tap onto the appropriate wiring loom. In the majority of vehicles this should not affect your warranty but it is your responsibility to check with your vehicle supplier prior to installation. If you would like us to fit the equipment in a specific manner or using piggy back fuse holder adapters, you will need to order these and have them on site prior to the engineer arriving. If you do not, and the installation needs to be cancelled because you haven’t provided the correct equipment or cancelled less than 24 hours before the installation date you will be charged £50 including VAT. 4. After sales support– Your installation and equipment are covered under separate warranties. The installation is provided with a 12-month workmanship warranty, this is void if anyone other than Dash Witness Ltd or a third-party contracted by Dash Witness Ltd alter the installation. If you report a fault within 30-days following your installation we will attend free of charge. If a fault is reported after 30-days you will need to purchase a service call (£80 including VAT), however, if the engineer finds that the fault is down to the installation (this does not include equipment failure) the service call will be refunded. In the unlikely event that the equipment fails within 30-days and it is not something that is easily accessible to return to us i.e. the wiring kit or battery packs which will likely be hidden behind the dashboard. Dash Witness Ltd will cover the cost of any engineering visits. Dash Witness Ltd cannot provide free service calls if a piece of equipment has failed after 30-days following the installation, however the equipment is covered under its own warranty and can be returned to us for repair/replacement. 5. Change of mind– If your equipment is working as expected but you decide to return it within a period of 30-days following the date of the order we can refund the cost of the equipment only. If the equipment needs to be removed you will need to pay the de-installation costs. The price paid includes the items selected at point of purchase, labour and installation. Installation is available to UK mainland postcodes only. Installation is covered by a 12 months workmanship warranty. Faults with the camera or installation will be dealt with by Dash Witness. However we cannot be held responsible for issues arising from specific vehicle conditions such as a heated windscreen that blocks the cameras GPS signal. Once received, the installation is a service and therefore not refundable unless the work carried out is unsatisfactory, if the product (I.E. camera) is faulty we can not refund the installation cost. 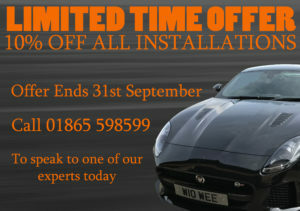 You must provide a safe, legal, off road area for the installation to take place. Where necessary you will need to ensure permission of the land owner is received BEFORE the installer arrives. In poor weather conditions we may have to re-arrange the installation unless you have suitable covered facilities such a double garage or car port. You have the right to cancel your order within 14 days of the installation completion under the Consumer Contracts (Information, Cancellation and Additional Charges) Regulations 2013. However, you will be charged for an engineer to attend and remove the equipment. In a small number of vehicles some cameras can interfere with the radio. Whilst we have a pretty good idea from previous experience, it is impossible for us to know whether a camera will cause interference until the camera has been fully fitted. Should you receive interference there are a few things that we can do to eliminate the problem these include fitting ferrite cores and re-running cables along different routes. The call outs to resolve this will be covered under warranty for 30-days following your installation. The competition is open to residents of the United Kingdom aged 18 years or over except employees of Dash Witness and their close relatives and anyone otherwise connected with the organisation or judging of the competition. Closing date for entry will be 11:59pm on Sunday 30th April (UK time) 2017. After this date the no further entries to the competition will be permitted. The prize is as follows: Blackvue Over the Cloud DR65OS -1CH dash cam, a Power Magic Pro hardwiring kit for parking mode and free installation. The winner will be notified by email and/or DM on Twitter/Facebook within 28 days of the closing date. If the winner cannot be contacted or does not claim the prize within 30 days of notification, we reserve the right to withdraw the prize from the winner and pick a replacement winner. The promoter will notify the winner when and where the prize will be delivered. Once delivery has been received we will organise a day convenient for both parties on which to complete the installation. Entrants agree to submit their name and email address which may be used by DASHWITNESS Ltd or Ambit Technologies Ltd to send email correspondence in relation to their products and services. If the entrant wants their information to be removed from file they should contact us using office@dashwitness.com providing the name and email address to be removed. DASHWITNESS Ltd shall have the right, at its sole discretion and at any time, to change or modify these terms and conditions, such change shall be effective immediately upon posting to this webpage. DASHWITNESS Ltd also reserves the right to cancel the competition if circumstances arise out of its control.